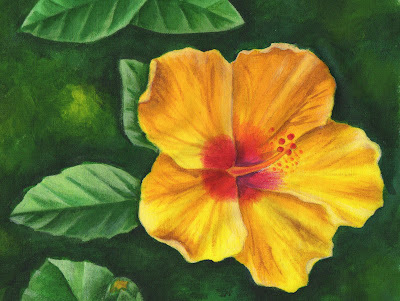 Judy Coates Perez: Aloha! Grab your grass skirt and let's paint all the way to Hawaii! Aloha! Grab your grass skirt and let's paint all the way to Hawaii! This is so exciting, I want to invite you to come along with me for a surface design painting adventure on an island hopping Quilt n' Cruise to Hawaii. 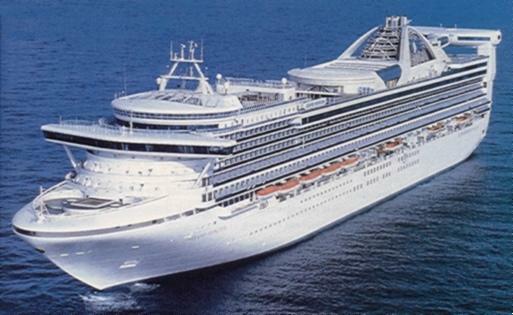 Linda Poole, Joan Shay and Lisa Erlandson will also be teaching on the cruise. The ship leaves port from San Francisco October 4th. The next 4 days at sea offer a great line up of classes, then the ship stops each day in Kauai, Honolulu, Lahaina and Hilo, then 4 more days for classes before stopping for a day in Ensenada and docking back in San Francisco the next morning, October 19th. Learn about different textile paints while creating unique, textured fabrics to use for art quilting or as a base for other mixed media techniques. A few of the methods we’ll explore are shibori and scrunching, working with sea sponges, layering translucent washes, creating texture by relief and working with a variety of brushes. Begin the class by designing and carving your own rubber stamp and foam stamp. 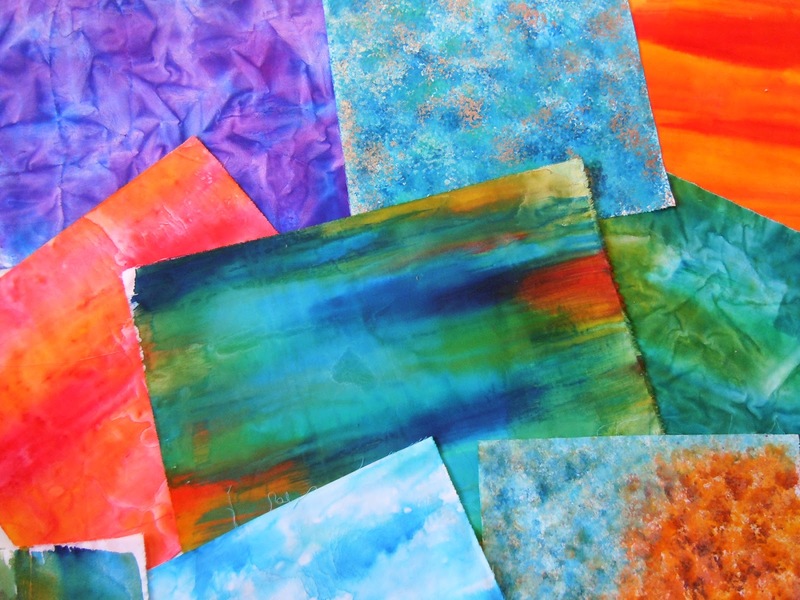 Then explore mark making by printing with your new stamps, wood block stamps, stamps from home, thermofax screens and quill pens to create beautiful stamped and painted fabrics. 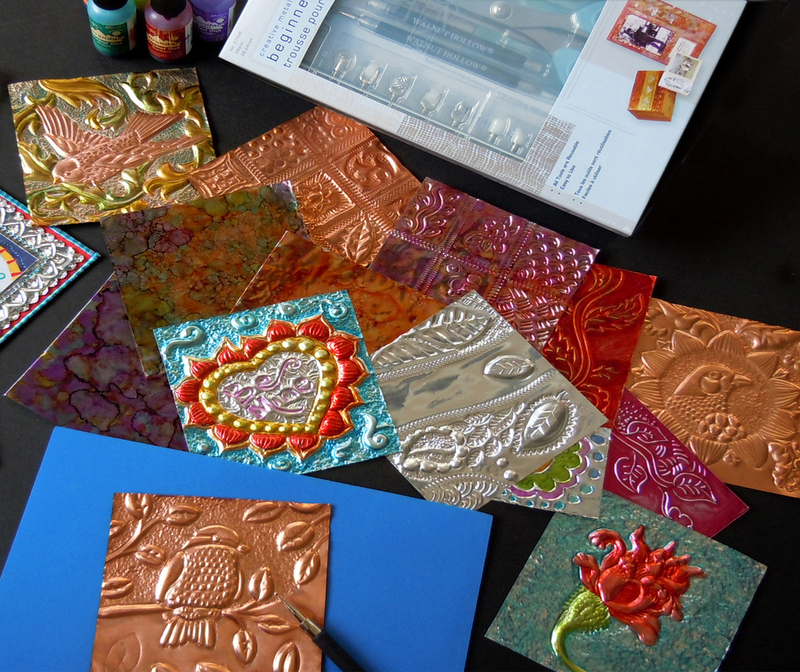 Spend a day working with craft metal and discover a variety of ways you can add flash to your mixed media projects. Each student receives a metal tool kit courtesy of Walnut Hollow, and learn multiple embossing techniques to create beautiful designs with dimension and texture on aluminum and copper metal. Several methods for enhancing metal with color using alcohol inks and markers will also be explored in this fun and relaxed class. 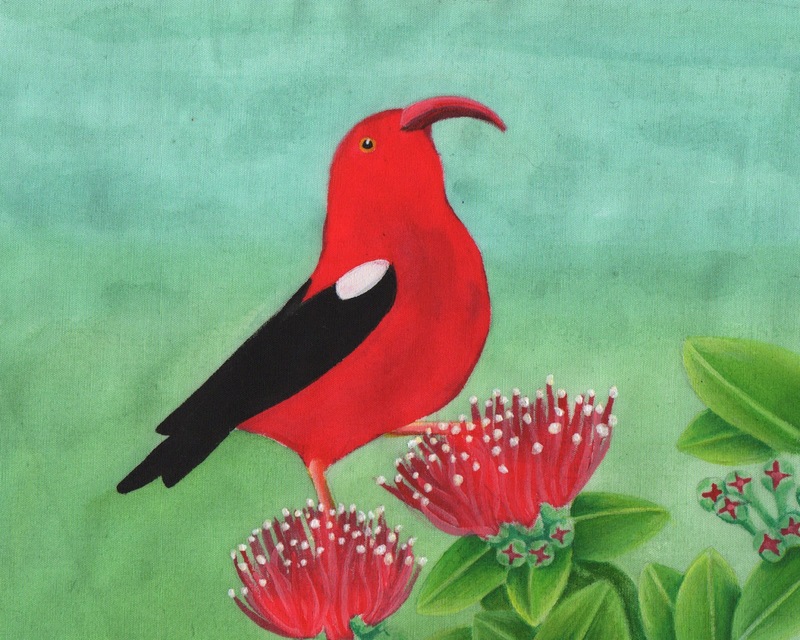 Using native Hawaiian floral imagery, learn how to paint fabric with textile paints, using an original design of your own or one provided in class. Students learn techniques for creating smooth gradations of color, glazing paint with textile mediums to create more visual depth, covering large areas with even color and avoiding blotchiness, control paint bleeding, working with freezer paper masks, and painting smooth lines and fine details. We will also discuss how different paints affect the hand of the fabric, and how to baste painted textiles for quilting. 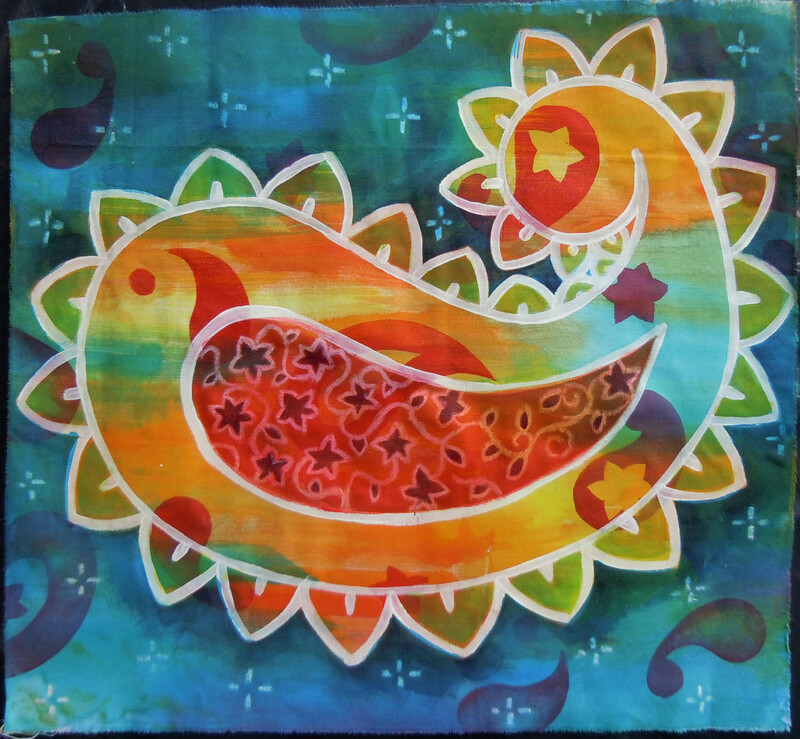 This is an information packed class geared to help students gain confidence painting fabric for art quilting. 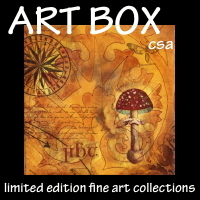 Students will have a variety of images to choose from or may work from their own designs. Explore the art of using resists to create beautifully textured painted fabric, while working with a variety of inexpensive items commonly found around the house or the local office supply. Using birds, insect or animal imagery native to Hawaii, learn how to paint fabric with textile paints, using an original design of your own or one provided in class. 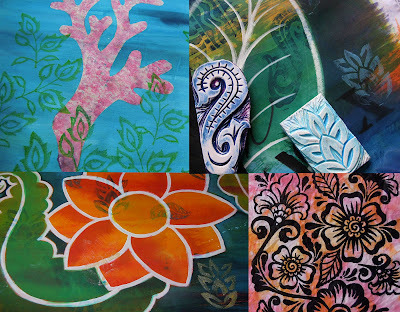 Students will learn techniques for creating smooth gradations of color, glazing paint with textile mediums to create more visual depth, covering large areas with even color and avoiding blotchiness, control paint bleeding, working with freezer paper masks, and painting smooth lines and fine details. So grab your partner (or not), and come spend two fun filled creative weeks immersed in color, texture and fabric. Check out all the details so we can go try some Spam sushi! Congratulations Judy! Sounds like an amazing cruise and classes! Good luck! wow Judy this sounds like a very cool event - you'll have a blast no doubt! You will have such a great time!! First of many more? Now that sounds like a great trip!!! I hope it fills up quick. You will have a great time I am sure. I would love to go on a cruise like that and love the projects you have lined up. I am still off with my lyme, so have been sticking close to home, these days. How Long Does It Take To Bind A Quilt? But Where Are All The Martians?